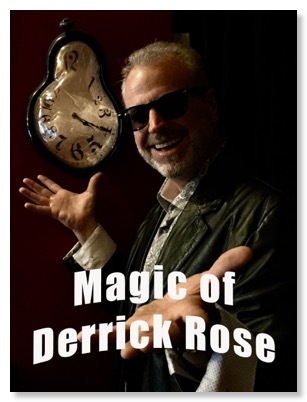 Arkansas Magician Derrick Rose is a local celebrity due to his regular TV appearances and well-loved family and corporate shows. 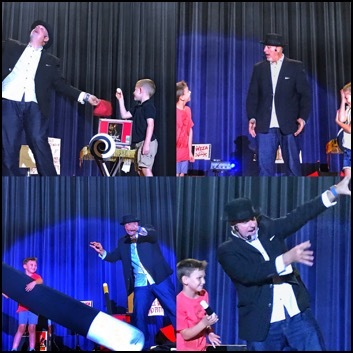 He is an award-winning magician and balloon artist, voted Little Rock Family Magazine's favorite party entertainer! As an Arkansas magician, balloon artist and entertainer, based out of Little Rock and performing throughout the U.S., Derrick knows that finding entertainment in and around the State of Arkansas can be a challenge. That's why you need a seasoned PROFESSIONAL entertainer like Derrick at your event. He's a veteran performer whose shows are always in high demand at festivals, conventions, corporate events, birthday parties, weddings and other settings. Derrick's unique blend of comedy and magic will have you laughing and amazed. 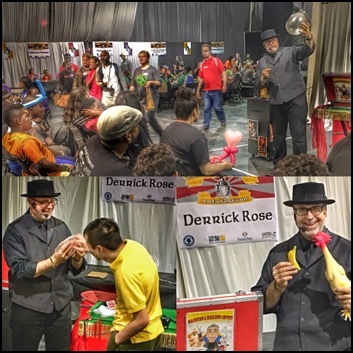 Derrick has over 30 years of experience entertaining audiences and wants to share his style of magic, comedy and illusions with you. Recent clients include: Falcon Jet, South Side Bee Branch, Oaklawn Racing & Gaming, Almatis Inc, Morgan Stanley, Golden Corral, Howard Memorial Hospital in Nashville, AR, Therapeutic Arts Festival, Whole Foods, United Way of Arkansas, Little Rock Parks and Tourism, Warren, AR Pink Tomato Festival, Timberfest in Sheridan, AR, Epilepsy Foundation of Missouri and Kansas. Since 1987 I've been performing amazing, funny magic for all ages and creating unbelievable balloon creations. I've designed my shows to be enjoyed by everyone.